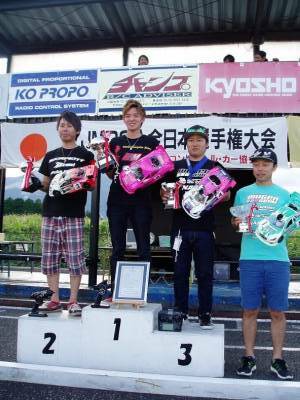 KM H-K1 & Takahata Shoki became 2015 All Japan National Champion! ! ! 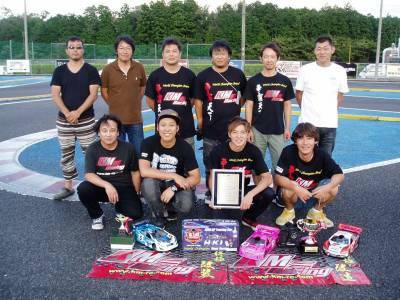 KM H-K1 & Takahata san became 2015 All Japan National Champion!! 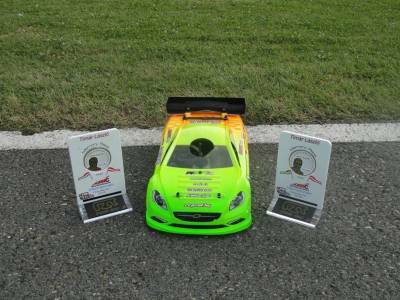 After 10 years we competed in this most difficult & highest level national championship(Top 10 expert class drivers included 3 world champions,and all IFMAR A Main finalists), the first time and finally we took the champion titels!!! 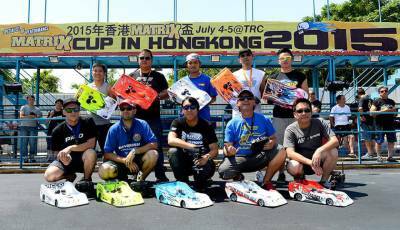 Thanks for all the hard work of all KM drivers,and specially big thanks to my Japanese partner Manabu Mizota for his super hard work and great job!!!!! 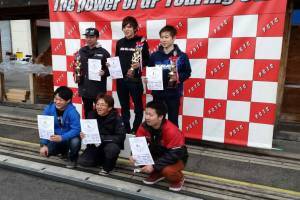 Our Team Driver, Adachi won the Race at NikouMusen Racing Track, again!! 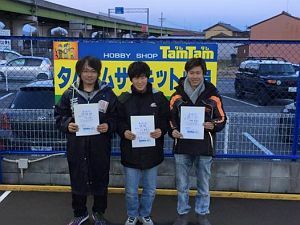 Good News from Japan ! We have a good news! ! 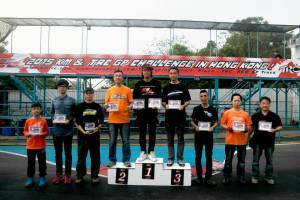 Our team driver, Takahata-san attend PGTC series race, and he got 2nd place ! ! 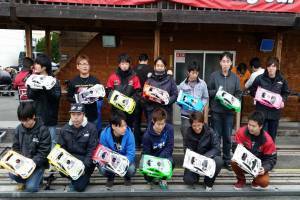 His open class, same as Japan National, almost all top drivers from all over Japan attended this race, because this track will be used for coming Japan National for 1/10 GP Sedan. 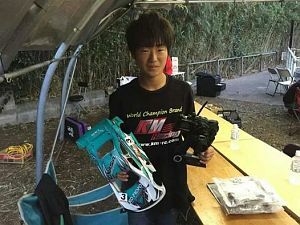 And such high level competition, Takahata got 2nd place with his H-K1WC kit ! ! Congulatulation Takahata & Thank you very much ! ! Good News From Hungary ! 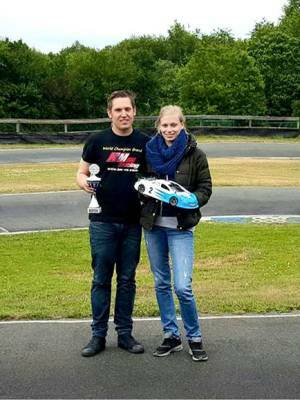 Please read our short summary from last weekend’s race: I gave my HK-1 to my very talented young friend Barnabas Toth, and I was driving my K8 this weekend. 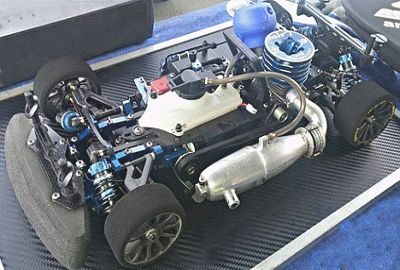 I had problems with my engine all weekend long. 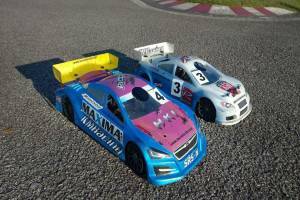 On the qualifications I drove 1st and 2nd fastest time, but in the 1/2 final and final I had bad luck with engine. 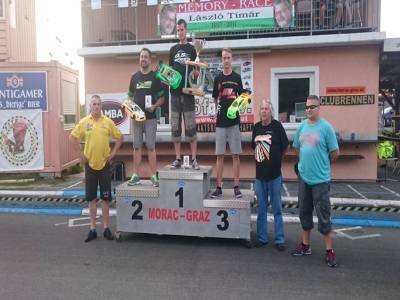 Here is a short summary from Barnabas: Last week we had the Timár László Memory Race in Austria. The location was the famouse Stöhr-Ring, that I have visited for the first time. 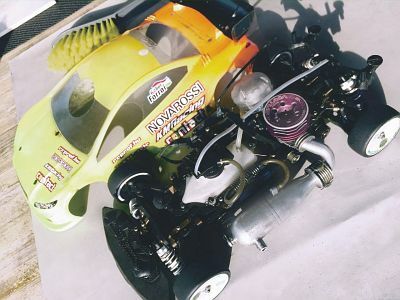 It was my first nitro race ever, so I didn’t have big expectations, I only wanted to learn a lot about the the car, and get to the finish line in the finals. 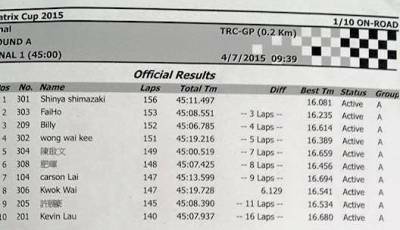 Saturday we had two qualifications, and I was able to secure the 2nd position on the grid. Untill the first pit stop I was following the leader 5 seconds ahead of the 3rd spot driver, but after the stop I had overheating problems, and could only finish 6th, 4 laps behind the race winner. 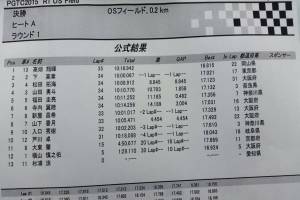 Sunday we had 3 qualifications, but I had some issues with the fuel and the traffic, so I could only get 7th after the qualies. 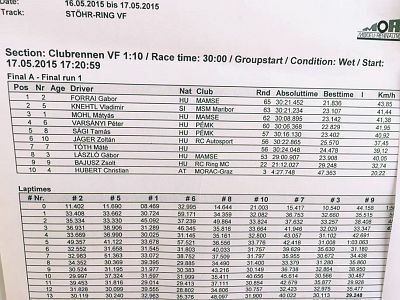 In the 1/2 finals I put in a safe run, so I could start 4th in the Final. After a lap, I found myself in the 2nd spot, and had a good fight with the race leader, but unfortunately after 15 minutes I ran out of fuel, and lost a lap to the leader. 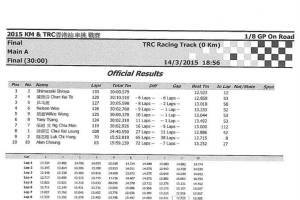 The pace was definitly promising, I put in the fastest lap of the whole weekend. 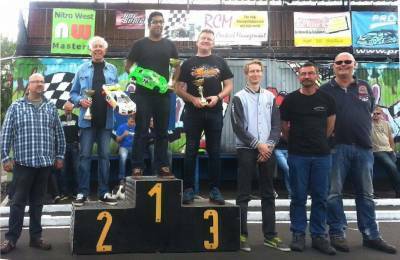 In the end I got 3rd in the 30 minitues long final, and in the overall standings as well. 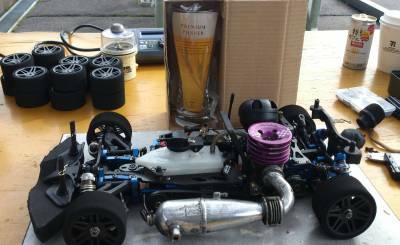 It was a great weekend, and the KM H-K1 worked awesome all weekend long. 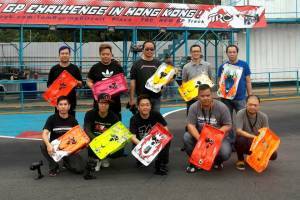 Great News From Hong Kong ! Good news from spain ! 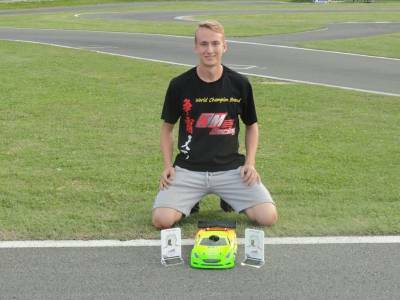 I´m sending you the report from the 1st Round of the Nitro Series Españolas (NSE),the new Series Championship in Spain based on the popular Euro Nitro Series racing format. 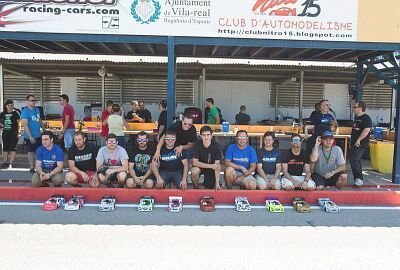 First Round of the Nitro Series Españolas took place in Villareal the past weekend,with fine weather and a very technichal layout. 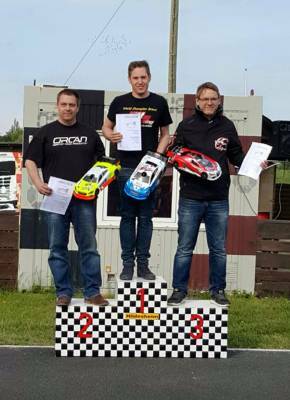 I was able to TQ 4 rounds of qualifiyng out of 5 (I didn´t take part on 3rd round of Quali due to a Battery failure),getting TQ honours with 0 points,setting the Fastest Lap and a new Track Record. 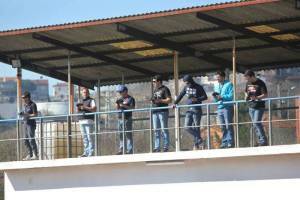 We used the Qualifiyng point system for the first time,counting the best 3 Rounds. 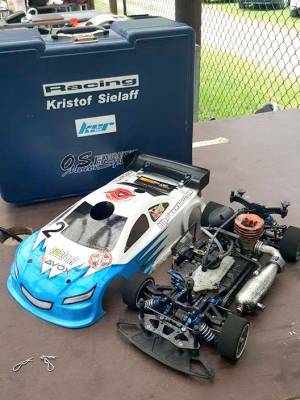 My KM HK-1 worked perfect with the new Evo3 Parts,especially the new shock towers and new brake pad worked pretty well for me. 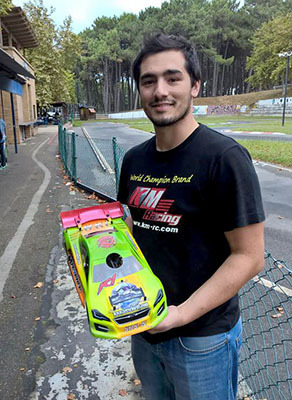 On Sunday Marco Colomo was able to take the win in the B-Main with his HK-1,founding himself after a hard weekend with the quite technichal track. 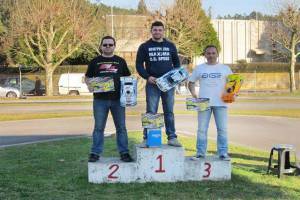 Also Raul Amella Sr. rounded out the podium in 3rd with his HK-1. A-Main started pretty well for me,running away from the rest of the field. 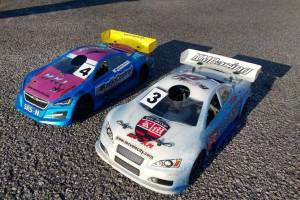 At mid-race I was leading with a confortable margin,1 lap ahead of the 2nd position,but unfortunately my steering servo broke after 20 minutes of the main,wich forced me to retire of the race. Anyway,pretty happy with my package this weekend! Looking forward to the next races. Great News From Germany! ! ! 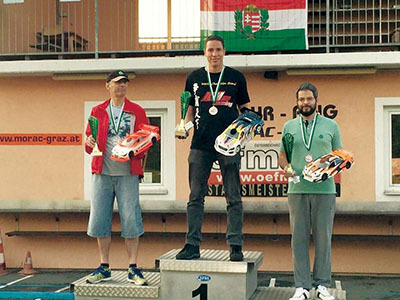 This Weekend, the third run for the northgerman championship took place in Munster. 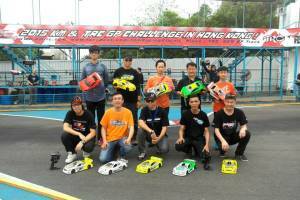 In the first Qualifying, I already could reach the TQ. 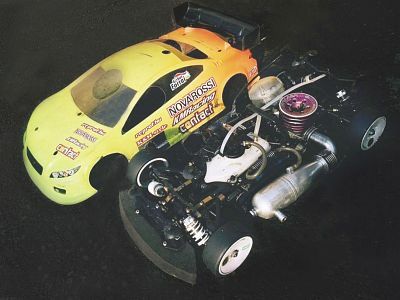 this only was two tenths slower than the trackrecord (Made 2012 by Eric Dankel). I could win this race with two laps in advance in spite of this precarious situations. 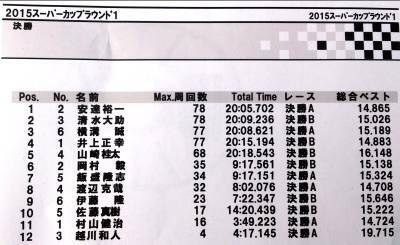 I just heard from KM driver Nakayama-san got 2nd place with his H-K1. 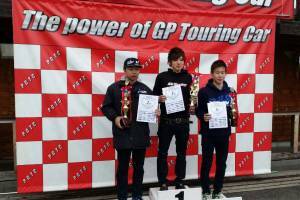 Also, Kazuya Sawaki got 4th place even he just start attending these competition race with his new H-K1. 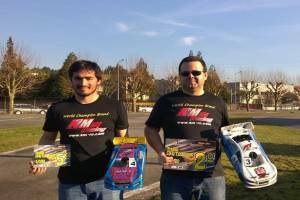 KM double victory in Malayia! 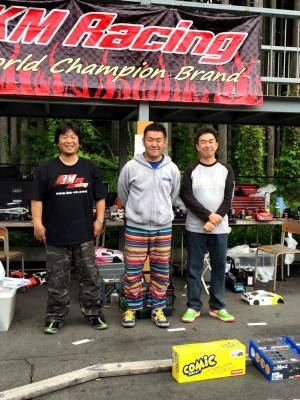 Our Team Driver, Adachi-san just attend 2015 Super Cup Round 1 in NEXT Racing Track, in Chiba, yesterday. 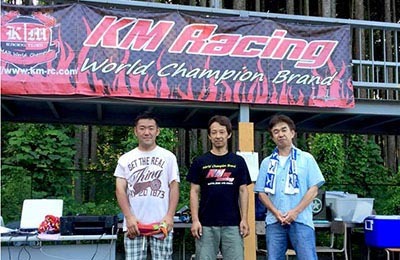 and 4th place Inoue-san also drive KM H-K1. 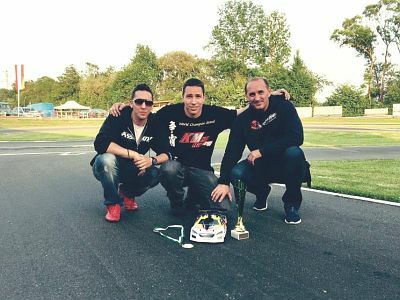 KM H-K1 dialed on this track last weekend! ! 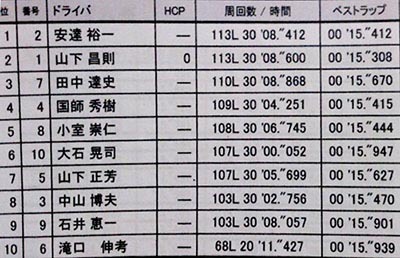 Congratulations for Adachi-san, Shimizu-san and Inoue-san! ! 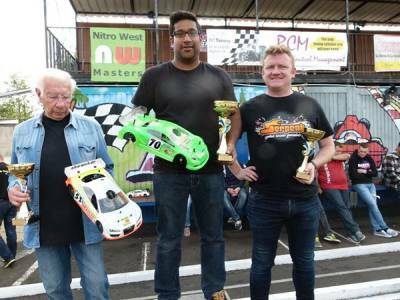 please read my short summary of my last weekend’s nationals. 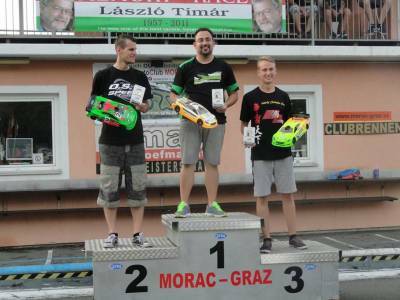 Last weekend we had Hungarian Nitro Nationals on race track Stöhr-Ring (Austria). 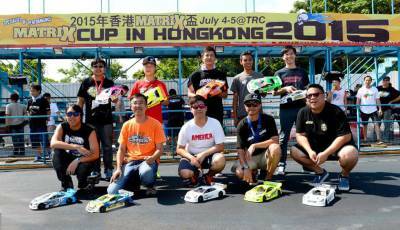 It was also an international club race, with 63 racers from 3 countries. Saturday we had a beautiful sunny practice day. but for the 1/2 finals it started to rain. 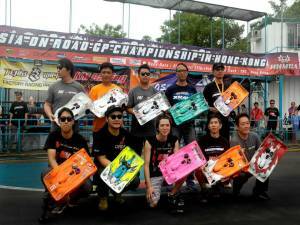 I was second on the grid for the final. We started the final under wet conditions, so I put rubber tires on my car. 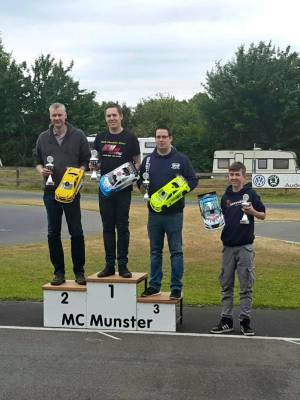 i was 3rd or 4th at my first pit stop more than 1 lap behind the leader. I also got a stop and go penalty for crossing the white line out of the box. 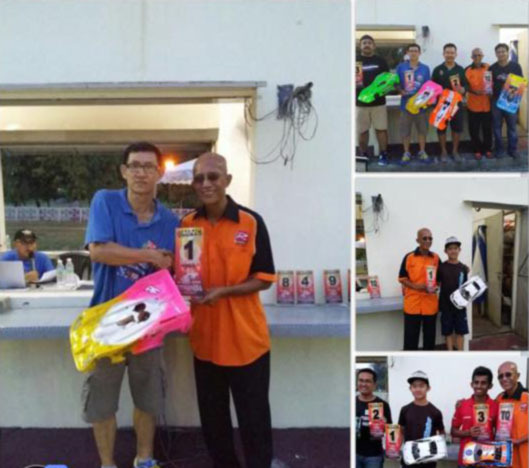 and i was able to drive 2-3 seconds faster laps than the other drivers. and just brought the car safely to the finish line. 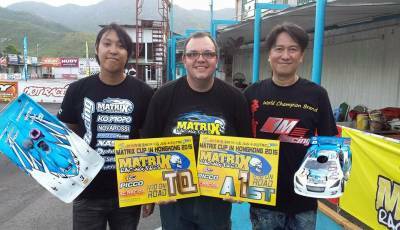 Other KM driver Mate Toth finished 7th on his first 1/10 onroad nitro race ever! 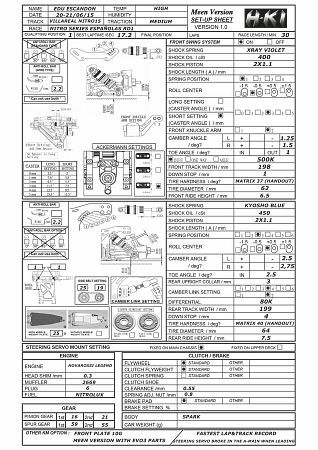 I arrived just on Sunday, for this reason, I had to use the Qualifying for working out and finding the fine tuning for my KM HK-1. In the end, I reached the third starting position and I was content. I could keep up this position for a long time and additionally could eke out the second place and kept it up until the ending. 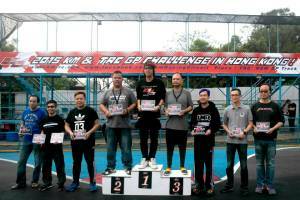 Due to a car, which was not in accordance with the rules, the actual winner got disqualified and I gained the first place. Special thanks go to my father (Siemotu) my girlfriend and my sponsors. 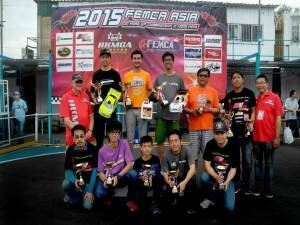 We have a big victory in 2015 FEMCA! ! ! 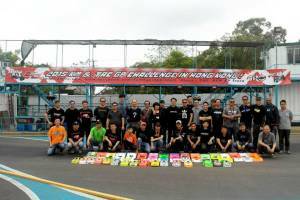 Race Name : 2015 FEMCA Asia On Road GP Championship In Hong Kong! 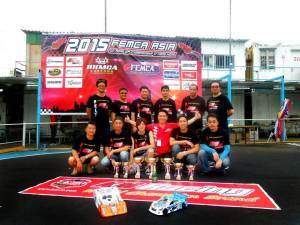 KM K8 become the FEMCA Asia Champion car! ! ! Good News From Japan! ! ! 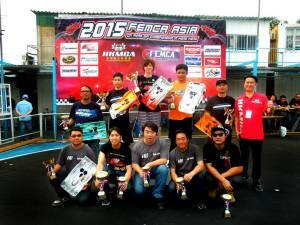 Good news from our team driver, Adachi-san. 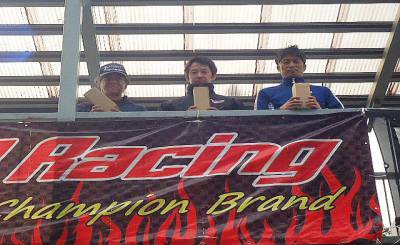 He attend Nitsukou-musen first series race in their permanent racing track, called Nitsukou-musen Arrow Cup. 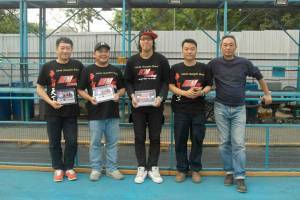 And He got TQ and Win the final. 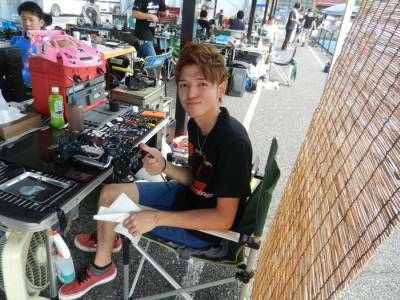 Also, private driver, Nakayama-san made the best lap 15.615 of the day by his H-K1 WC chassis. Great news from Hong Kong! 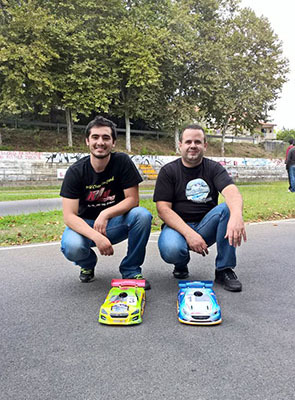 Great Weekend, Great Weather….. 2 KM Drivers in TOP 5, Hugo Mendes in 2º and Tiago with some problems in 5º. 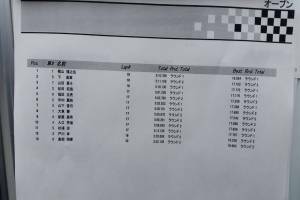 Hugo Mendes fight for 1º place in the second half of race, he run some time in 1º place but the rear tires finish and he not managed to keep position… Congratulations to Nuno Silva that had a better race strategy…. 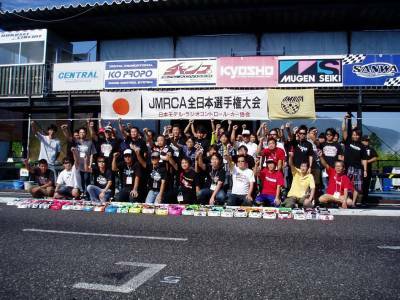 Great News From Japan! ! ! We have a great news from Japan for you!! 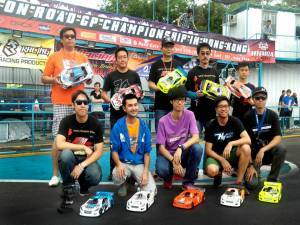 One of the most high level competition series race in Japan, named PGTC for 1/10 GP Sedan, just started. 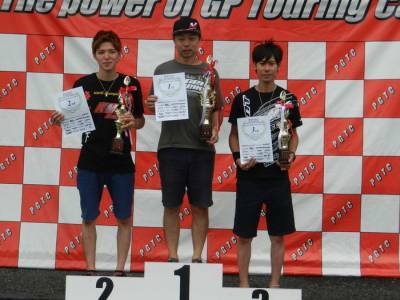 And our KM Team Driver Takahata won this 1st series race! ! 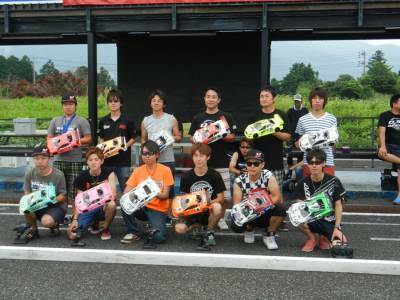 Even all best Japanese drivers from all over Japan, such as Shimo, Fukuda, Yokoyama, Terauchi and other Japan National finalist, were all there, let us repeat! ! Our KM Takahata beat everyone easily! ! 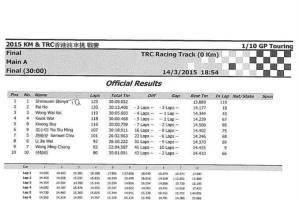 The below is its evidence, only he made 35 laps, and also he made best lap during this final!! He is very stable, and very fast!! 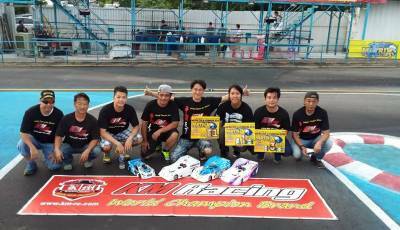 We can not wait coming race report from Takahata! !